ALASKA VELO: "This is not a Bike... (Its a machine for economic and cultural empowerment)"
"This is not a Bike... (Its a machine for economic and cultural empowerment)"
"The highest performing bike I've seen is the bike in the hands of the girl student fighting for her education or the bikes in the hands of a mother faithing for her children. There is no higher performing bike than that." In this context, the advantage these 'machines for economic and cultural empowerment' provide access. That is the primary value; Access to education, to markets, to opportunity, to care, to emergency services, access to the world. Along with the bikes, the program also trains mechanics of the two primary genders. These bikes are totally locally built, creating thus further opportunities for the communities; jobs, transportation, education, etc. 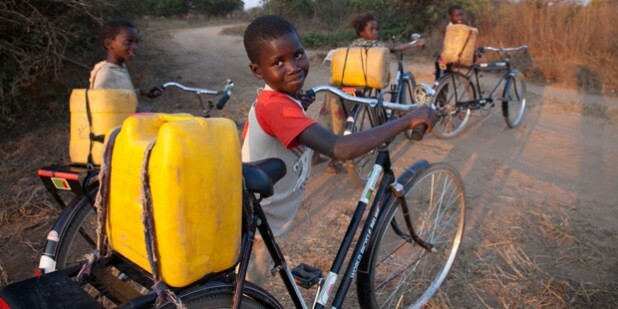 "With over 96,000 bicycles in the field and 750 field mechanics trained, World Bicycle Relief is changing lives across Africa. World Bicycle Relief currently has assembly facilities in Kenya, South Africa, Zambia and Zimbabwe and has supplied bicycles through programs in Kenya, Mozambique, South Africa, Southern Sudan, Tanzania, Uganda, Zambia and Zimbabwe."